Make a statement when you add the Medieval Wide Belt to your Renaissance fair, LARP, or reenactment outfit. With hand tooled detail along its borders and a heavy duty buckle, this broad kidney belt will definitely impress no matter the occasion. 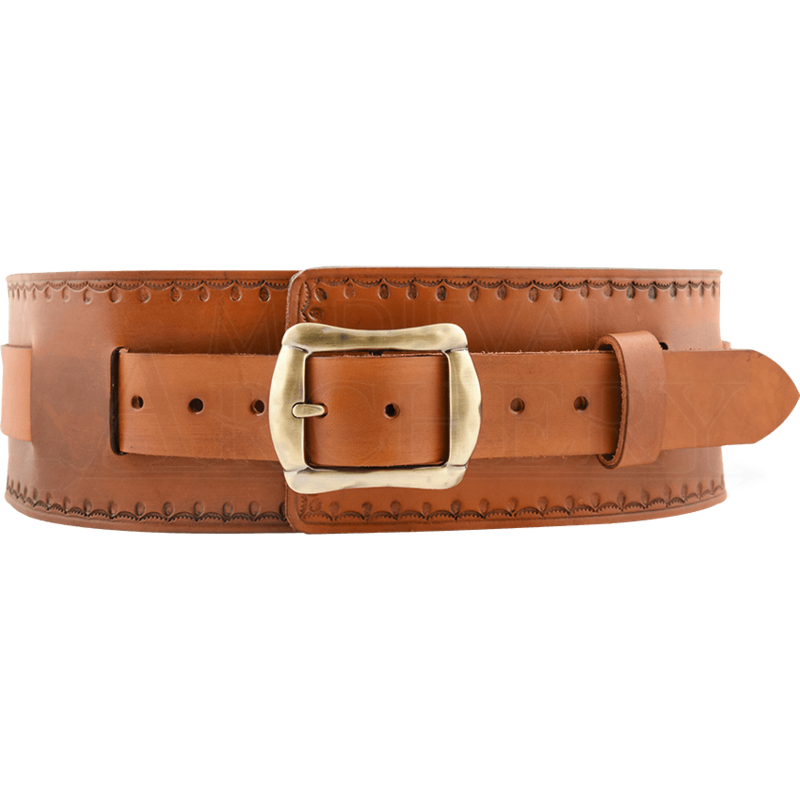 This handcrafted leather belt is worn with an overlap in the front. Adjust and secure the fit using the narrower, buckled belt strap that runs throughout the wider structure. The hardware comes in your choice of antique brass or steel, and the leather is available in a variety of colors to match any style. Warriors, noblemen, and adventurers of all sorts can take their looks to the next level with this wide leather belt.